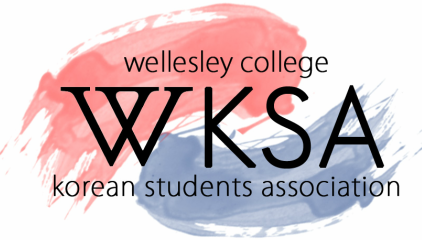 The name of this organization shall be the Wellesley College Korean Students Association and will also use the acronym of "KSA." KSA strives to cultivate and promote an interest in the culture, history and other issues of the Korean and Korean-American experience. KSA’s purpose as an organization is to provide various opportunities for Wellesley College students and other persons outside the Wellesley College community to come together on a social, cultural, political, and educational plane. KSA also serves as a network for Korean and Korean-American students in the Wellesley community and the greater Boston area. In addition, KSA strives to promote leadership and excellence to Wellesley students. The mission of KSA is to enrich the lives of all people, not just those of Korean descent, who are interested in Korean culture in the Wellesley College community and the greater Boston area. KSA’s goal is to encourage the community to be more active by providing them with a political voice and representation, social support, community service, and cultural awareness. Any student of the Wellesley College community who subscribes to the foregoing purpose and pays the student activities fee, is eligible for membership in this organization. One shall automatically become a member after active participation in KSA events: by attending at least two (2) non-community service KSA events (i.e. study breaks, lectures, parties etc.) OR one (1) community service event per semester. Membership selection shall not discriminate based on race, creed, ethnicity, religion, sexual orientation, age, or financial aid status. If any member is in need of financial aid, KSA will, in strict confidence, appropriately deal with the request. Only the member, President, and the Treasurer will be involved. To be eligible for candidacy of an executive board position, one must be a member of KSA. This organization shall not discriminate on the basis of race, gender, creed, ethnicity, religion, sexual orientation, age, disability, or financial status. This organization shall adhere to the Wellesley College Honor Code. 1. KSA will have, at all times, at least one (1) administrative and/or faculty advisor(s). 2. Karen Shih shall serve as KSA’s administrative advisor. The executive board consists of the officers listed in Article IV Section 3. This board will plan the organization's activities and facilitate the publicity and communication among members and other organizations. Each officer should take the responsibility to initiate all activities with her position as she and the board sees necessary. Each executive board member shall form and preside over a committee as she sees necessary with the exception of the President. Executive board members have the joint duty of keeping in close working contact with each other and the Advisor. She shall call and preside over all executive board meetings and any general meetings deemed necessary. She provides a general direction for the overall activities of KSA, and it is her duty to update the constitution. She shall serve as an official liaison between KSA and other organizations on campus and shall attend monthly meetings with the other leaders of Asian/Asian-American organizations that make up the Pan Asian Council (PAC). She shall also act as the student representative of Wellesley College KSA and serve as a point of contact with other Presidents of off-campus organizations. She shall keep in close contact with the Administration and inform all members and participants of ongoing efforts. To be eligible for this position, one must have served on the executive board for at least one (1) academic year. She shall work in conjunction with the President and resumes the duties of the President in case the latter is indisposed. To gain more participation and input from general members, she will be responsible for organizing at least two open meetings each semester. These include elections info sessions but not e-board meetings. She shall organize two lectures during the course of the academic year, including the KSA Alumnae Career Panel. She shall be the liaison between KSA and KSA alumnae. To be eligible for this position, one must have served on the executive board for at least one academic year. She shall be responsible for recording minutes at all meetings and publishing them (executive board meeting minutes for “KSA e-board” members, general meeting minutes for “KSA” general members). She shall be responsible for keeping track of executive board officers’ attendance. She shall update and retain membership contact lists, including the Wellesley KSA Google group by adding and deleting membership when necessary. She shall secure and reserve spaces and times for executive board meetings, general meetings, events, and culture show performance rehearsals. She shall serve as the liaison between all members of KSA in the Wellesley College community and Senate. She will act as the official voice representing the interests and views of KSA and all members of KSA on campus during Senate meetings. She must join ad-hoc committees that are deemed relevant and necessary in regards to the KSA community. She shall also post pertinent information from Senate meetings on the “KSA” conference and relay all relative information discussed during senate meetings at executive board meetings. She shall be responsible for making conscious efforts to hear from KSA constituents and inform them of what is going on in College Government. This may include writing reports in the KSA newsletter. She shall serve as the official liaison between KSA and SOFC. She will oversee and coordinate all finances and financial transactions (i.e. spending, organizing, updating, reimbursements, etc) of the executive board and the organization. She must attend the mandatory training session at the beginning of the year and shall coordinate and design at least one fundraiser per academic semester. She shall coordinate all on-campus social functions of KSA with the purpose of maintaining community relations. She will organize at least one Big Sister/Little Sister event per semester. She is in charge of coordinating at least one event open to all general members per semester, such as a study break. This event may be in conjunction with other members of the executive board or other organizations. She will organize at least one party per semester, including the annual party Euphoria in the fall semester and the annual Culture Show Afterparty in the spring semester with the External Social Chair. She shall coordinate all off campus social functions of KSA with the purpose of maintaining relationships with KSA’s in the greater Boston area. She shall act as the liaison for KSA between social chairs of other organizations on campus and surrounding Boston KSAs. She shall update and retain a file in the KSA Google drive that contains a list of off-campus organizations’ contact information. She will organize at least two mixers with off-campus organizations per semester. She will organize at least one party per semester, including the annual party Euphoria in the fall semester and the annual Culture Show Afterparty in the spring semester with the Internal Social Chair. She shall coordinate and design community service events and shall also inform KSA members and participants of all community service opportunities both on- and off- campus. She shall serve as the director for the Korean Adoptee Mentor Program (KAMP) and coordinate at least two events for the program per semester. The community service chair must organize at least one community service event separate from KAMP during the academic year. She shall be responsible for coordinating and promoting Korean cultural awareness events on- and off- campus. She will be responsible for applying for funding for the culture show and its after party. In the fall, she will be responsible for coordinating with the culture chair(s) of CSA to collaborate on the Mid-Autumn Festival. She will be responsible for organizing the annual culture show in the spring. She shall help the Community Service Chair in providing support for culture-focused KAMP events, if needed. Candidates running for this position are strongly recommended to have served on the executive board for at least one academic year. She shall be responsible for designing and printing all spams/programs/posters/etc. for KSA events. She shall distribute physical spams on-and-off campus either herself or by relaying spams to e-board members. She shall save all spam to the KSA Google drive to serve as an archive for KSA history. She shall be active in efforts to maintain and expand the Korean Program. She shall assist in working with the Korean Program to publicize Korean Program and/or EALL, EAS events on campus. She shall keep in close contact with the administration, department chairs and program chairs, and inform all members and participants of ongoing efforts related to the Korean Program. She shall be responsible for organizing the weekly Korean Table, in cooperation with the Korean Program. She shall be the liaison and contact person between Korean international students at Wellesley and the KISAs (Korean International Students Association) at other schools in the greater Boston area. She shall organize the First Year Welcoming event and Illac during the summer. This event may be organized with other members of the executive board. This position is only open to sophomores, juniors, and seniors; preferably a student who is taking or has taken classes in the Korean Program and/or is an international student. She shall inform other executive board members of the concerns of the first-years and act as a liaison between the first-years and the executive board. She shall organize and coordinate at least one event per semester for first-years. She shall assist both Social Chairs for internal and external social events when needed. This position is only open to First-Years. She shall be responsible for all technological equipment belonging to KSA, which will be stored in the KSA closet located at the campus center. She shall be responsible for taking pictures and videos at KSA events and saving them in the Google drive. In the case that she cannot attend, she must find a proxy to fulfill this duty. She shall be in charge of KSA’s online presence and must keep the Facebook page, Weebly website, and Instagram up-to-date by uploading posts/photos/videos and managing all inquiries that come through said sites. She shall be in charge of digitally publicizing KSA events both on-and-off campus through email, social media and creating Facebook events. In the event that one or more of the positions listed above are not filled after the fall elections, the executive board shall discern how the duties of the position shall be allocated according to the specified quorum for constitutional business. KSA’s advisor shall serve as a mentor and be KSA’s liaison between KSA, the college administration and faculty. Officers are allowed three (3) unexcused absences. Two (2) excused absences will equal to one (1) unexcused absence. An absence will only be counted as an excused absence if the officer emails the secretary and the president(s) 24 hours before the event. Three (3) tardies add up to one (1) unexcused absence. Any combination of unexcused absences, excused absences, or tardies adding up to three (3) unexcused absences will result in a one-to-one meeting with the President. Each officer must contact the President or Secretary at least a day (24 hours) in advance in order to be considered excused. Officers are not penalized for absences due to classes. KSA shall hold semesterly general meetings, all of which shall be open and advertised to all members of the Wellesley College community. KSA, in keeping with the above stated purpose and mission statement, will sponsor activities solely or in conjunction with other interested organizations, college departments, or off-campus groups. Activities include (but are not limited to): lectures, films, community service, discussions, social events, political events, Wintersession activities and course offerings. The organization shall also participate in intercollegiate activities such as conferences and athletic tournaments. Quorum for the simple transaction of business must be a simple majority of voting members. Quorum for any constitutional business must be three-quarters (3/4) of the executive board members. KSA will finance itself primarily with SOFC funding. KSA will hold at least one (1) fundraising activity per semester. Profits from these fundraisers will serve as an additional source of funding. KSA shall adhere to all SOFC regulations. Officers are elected in the spring for the following academic year. A general meeting shall be held to enable the candidates to present their statements of intent. Voting shall occur via electronic ballots. All members shall receive e-ballots through e-mail, which should then be completed and sent to a closed "KSA elections" sub-conference within the KSA conference within a time period deemed reasonable by KSA officers. Ballots shall be counted by one third party (such as the PAC Chair or the MAC). By holding elections in this manner, confidentiality, anonymity, and eligibility requirements are maintained. A second election shall be held in the fall if all positions are not filled by the spring election. In the event that candidates running for the same office receive the same number of votes, a re-vote will be held. When a nominee is unopposed, a two-thirds (2/3) majority vote of all members present at the election will be necessary to confirm the officership. If it becomes evident (at the discretion of the officers) that an individual is not fulfilling her duties as an officer, she will be requested to resign. Soon thereafter, an election will be held to fill the position if deemed necessary by the executive board. Otherwise, the duties of the position shall be allocated as stated in Article VI, Section 3. Only members of KSA shall be eligible for candidacy and shall have the right to vote. Each of the new officers is to start her duty once elected. All previous officers shall continue their duties in conjunction with the newly-elected officers until the end of the academic year. Current executive board members’ votes will be counted as 1.5 votes. It is adopted by two-thirds (2/3) vote of the stipulated constitutional quorum. Adoption must be approved and passed by College Government Senate. A copy has been signed by the head of the organization and the Vice-President of College Government and is filed in the C.G. office and in the office of the President. Any and all constitutional amendments must be discussed and approved according to the specified quorum for constitutional business. Any and all resulting changes to the constitution must be described in a new section under the AMENDMENTS article. This constitution has created a Korean Curriculum Chair and eliminated the positions of Political Chair and Athletic Chair. The Public Affairs Chair replaces the former Newsletter Editor/Publicity Chair. Also the formally plural positions of Social Chair(s) and Cultural Awareness Chair(s) have been made singular. Executive board duties were redefined and additional duties of contributing to the monthly newsletter and webpage were stated. A new section (Article VI, Section 4) was created regarding attendance of the executive board at regular meetings. This constitution has changed the name of the organization from the Korean-American Students Association (KASA) to the Korean Students Association (KSA). It has also created a First Year Students Representative, International Students Representative and has changed the position title of the Social Chair to Director of Social Programming. A mission statement was also created as ARTICLE III. Executive board duties were redefined, and the Honor Code statement was moved from ARTICLE III to Section 2 under ORGANIZATION. The word “disability” was added under the non-discrimination clause, and the attendance clause was revised. In addition, the ELECTIONS section was revised, and rules for amendments were created. This constitution has combined Articles II and III to become “Article II. Purpose and Mission Statement.” All subsequent articles have been renumbered accordingly and will be referred as such from now on. The wording of Article IV, Section 3 has been reworded to be in accord with SOAC guidelines. In Article IV, Section 4, a new section has been added to name Karen Shih as KSA’s administrative advisor. Article V, Section 2 has been reformatted in accord with SOAC guidelines. The responsibilities of Vice-President no longer call for her to retain the membership of KSA or coordinate general meetings. The Secretary has taken over the responsibility of retaining KSA membership. The responsibilities of the Director of Social Programming have been changed so that she is now only responsible for organizing at least one study break per semester. She has also been made the liaison between KSA and surrounding Boston KSAs. The Community Service Chair’s responsibilities have been changed from organizing one event per month to one event per semester. The Public Affairs Chair is no longer constitutionally required to assist the Historian with distributing the newsletter. The Korean Curriculum Chair has been defined as the liaison between KSA and Wellesley College administration. The eligibility of candidacy for First-Year Representative has been limited to First-Years only. The eligibility of candidacy for International Students Representative has been limited to international students only. Article IV, Section 3 has been changed from Article IV, Section 2b. The responsibilities of the Advisor have been redefined. Article X, Section 1 has further specified that ballot-counting must be done by two third parties. Article X, Section 6 has further specified that only KSA members may vote and hold an executive board position. Article X, Section 7 has further specified that all previous officers must maintain their responsibilities in conjunction with the newly-elected officers until the end of the academic year. This constitution has moved the responsibility of maintaining the KSA website from Secretary to Historian. The position of ALANA liaison has been added as an appointed position held by an executive board member in addition to her original responsibilities. A second BKIC representative has been added to the executive board. This position shall be appointed in the same manner as the ALANA liaison by the executive board. This constitution has updated the year written on the constitution to reflect the next year: 2011-2012 Under Article III, Section 1, rewarded the requirement of an active KSA member to 2 non-community service events or 1 community service event per semester, from academic year. Sec 3, changed and added the names Social Programming Chair, Culture Chair, Korean Program Liaison, Asian American Awareness Committee Liaison, and BKIC Representative and added that Asian American Committee Liaison and BKIC Representative would be by appointment. Article IV, Section 3: Reorganized the officer positions so that AAA Committee Liaison and BKIC representative to be "by appointment”. Added to Article V, Section 2 Part 1b. that the President will be a member of PAC and added to Sec 2 part 4b. that the Treasurer will have a fundraiser per semester. Article V, sec 2, part 2: Vice-Presidents' role changed to specify that one of the lectures will be the alumnae panel, and she will act as point person. Article V, sec 2, part 3: Secretary's role was clarified to include helping publications of e-board meetings, newsletter, and maintaining archives. In Article V Sec 2 part 5d, added that the Senator will inform KSA members about College Government doings and also contribute to the KSA newsletter if need be. In Sec 2 part 6, changed Social Chair to Social Programming Chair. In Article V, sec 2, part 5d, wording changed from year to semester. Article V Sec 2 part 8: Changed Cultural Affairs Chair to Culture Chair. Article V Sec 2 part 8c: Added that the Culture Chair will help the Community Service Chair with culture-focused KAMP events. Article V, sec 2, part 7, role expanded to include coordinating 2 events per semester, and 1 non-KAMP event during the academic year, 2 KAMP events per semester and 1 non KAMP event per academic year. Article V Sec 5 part 10: changed Korean Department Liaison to Korean Program Liaison, in part 10b added that she will help Asia-related academic departments/programs publicize their events, in part 10c that she will be a liaison between KSA and the administration, department and program, in part 10d will organize Korean Table with the Korean Program, and in part 10e that it is preferred to have a student who has taken classes in Korean Program to be KPL. Article V, Sec 2, part 9: Wording for public affairs chair adjusted to include publicizing for social media, the KSA newsletter and assisting the documentation of KSA events via photography and video recording. In Article V, sec 2, part 11: Clarified role to include 1 event per semester, not academic year, and changed wording on helping the social chair. Article V sec 2, part 12: Expanded the role to include one event per semester for international students, and reworded her role for helping the Culture Chair, if necessary. Article V Sec 5 part 13: Wrote that the Asian American Awareness Committee Liaison will be by appointment and will help plan AAA month. The role can be filled by any KSA general member. Article V, Sec 4, changed wording to KSA from the organization. Article V Sec 5 part 14a: The BKIC Representative will attend BKIC meetings and communicate with KSA e-board about BKIC events. The position may be filled by any KSA general member. Article IX, Sec 1: Changed the ballot counting to one third party from two third parties. This constitution has updated the year written on the constitution to reflect the next year (2013-2014). Article V Sec. 2.14 (And therefore Sec. 2.15.1 and Sec. 2.15.2), the role of the BKIC Representative (by appointment) has been eliminated due to BKIC’s inactivity. Article V Sec. 2.13 (And therefore Sec 2.14.1 and Sec. 2.14.2), the role of the Asian American Awareness Committee Liaison (by appointment) has been eliminated because it falls under the jurisdiction of Karen Shih, not KSA. In Article IV Sec. 3, the BKIC Representative and the Asian American Awareness Committee Liaison positions have been removed. Article V Sec.2.6.2 has been added to the duties of the Social Programming Chair as “She will organize at least one (1) Big Sister/Little Sister event per semester”. Article V Sec.2.6.1 “Such events shall include, but are not limited to, the Big Sister/Little Sister program, the annual Senior event, and the annual KSA party” has been removed. Article V Sec. 2.6.3 under the duties of the Social Program Chair has been added as “She will organize at least one (1) party per semester, including the annual party Euphoria in the fall semester”. Under the duties of the Public Affairs Chair, Article V Sec. 2.9.1. the phrase “of paper spam, table tents, and flyers. in all forums such as email, social media, e-flyers, posters, table tents, etc.” has been changed to “paper spam, table tents, and flyers”. Article V Sec. 2.9.2. “She shall be responsible for organizing and distributing the KSA newsletter” has been eliminated and changed to “She shall be responsible for designing all spam for KSA events and relaying all spam to e-board members and other organizations around campus”. Article V Sec. 2.9.3. “She shall be in charge of managing KSA’s official website by updating the page with new events and uploading photos/videos” has been moved to the duties of the Multimedia Chair (Article V Sec. 2.13.4) and has been changed to “She shall be the liaison between KSA and KSA alumnae through the wksaalum@gmail.com account”. Article V Sec.2.9.5 “She shall maintain the Wellesley KSA google group by adding and deleting membership when necessary” has been added. Article V. Sec. 2.3.4 has been removed. Article V. Sec 2.3.5 “She shall be responsible for maintaining KSA archives” has been eliminated and moved to the role of the Multimedia Chair (Article V Sec. 2.13.1). Article V. Sec. 2.9.4 has been added as “She shall save all spam to the KSA laptop to serve as an archive for KSA history”. Article V. Sec. 2.9.6 has been added as “She shall act as the PR representative of Wellesley KSA for PAC (Pan Asian Council)”. Article V. Sec. 2.12.1 has been changed from “geared towards the inclusion of international students” to “focused on the interests of the Korean international student community”. Article V. Sec. 2.12.4 has been changed from “with other KSA leaders in the Boston area that make up the Boston Korean Leader’s Association (BKLA)” to “between Wellesley KSA and other greater organization focused on the interests of the international students. This includes but is not limited to GLA and BKLA”. Article V. Sec. 2.12.5, “She shall be the official liaison and contact person between Wellesley and KISAs (Korean International Students Association) in the greater Boston area” has been added. In Article IV. Sec. 3, the “Multimedia Chair” has been added as a new executive officer position after an executive board vote on March 10, 2013. Subsequently, Article V. Sec. 2.13 and its subsections Sec. 2.13.1 through Sec. 2.13.5 have been added as he duties of the Multimedia Chair. Article V Sec. 5 has been changed from “and six (6) excused absences for the academic year” to “Two (2) excused absences, which will only be counted as so if contacted 24 hours of the event, will equal to one (1) unexcused absence”. Article V Sec. 5 “Therefore, the 4th unexcused absence or 7th excused absence” has been changed to “Any combination of unexcused absences, excused absences, or tardies adding up to three (3) unexcused absences”. In Article V Sec. 5, “An absence will only be counted as an excused absence if the officer emails the secretary and the president(s) 24 hours before the event” has been added.